Heikki Salmela is best known as the owner and founder of the multi-national hamburger chain Hesburger. Now one of his businesses has developed a codec that can make a crucial difference in data transfer, with applications ranging from medical science to IoT solutions. "We have developed our own coding and data compression technology that is suitable for all kinds of data. We can efficiently compress any data in the world. In fact, our GMVC® codec can improve the compression performance of WebP, one of the most efficient currently known image compression methods in the world, by 30 percent," claims Heikki Salmela, 71, a co-founder of the Finnish technology company Gurulogic Microsystems. "The possibilities of compressing and decompressing data, such as large raw images, without losing information are endless in for example medical science, autonomous vehicles, or digital cameras," he lists. Efficient and lossless data transfer is crucial for instance in medical diagnostics; a brain tomography produces massive amounts of very detailed data and any errors in transferring the images can be a matter of life and death. In developing countries where the internet connection is poor, the ability to compress data can free up a lot of bandwidth. But let’s back up a little – why is a fast food entrepreneur talking about data transferring? Every day nearly two percent of Finland’s population visits a Hesburger restaurant. The family-owned hamburger chain dominates the market with 270 restaurants, and it’s growing fast internationally – in Latvia and Lithuania the annual growth in sales is over 20 percent. Hesburger’s cutting-edge mobile app is available in four countries and promoted by none other than Chuck Norris. 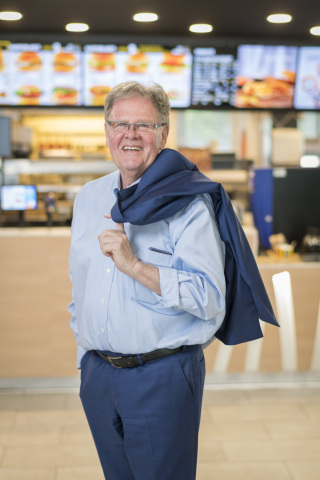 Salmela, the owner and founder of Hesburger, is a serial entrepreneur whose knack for business has taken him from flipping burgers at a kiosk him and his wife Kirsti bought in their early twenties to sitting on the board of around 250 companies. The impetus for founding some of those companies emerged from needs in the restaurant business. Since the 90’s, Salmela has been a pioneer in understanding the importance of integrating computers to fast food. The idea of image processing emerged when he needed a video surveillance system for his restaurants. In the early stages his start-up company Gurulogic Microsystems built custom security cameras from components. Gradually they started to focus more and more on software development. Today, Gurulogic Microsystems’ massive technology portfolio contains over a hundred granted patents worldwide and another hundred are pending. Their variety of technologies can be used for enhancing existing technologies and improving current data codecs and data compression solutions, as is indeed proved in experimental tests utilizing WebP. The company’s ambitious vision is to eventually replace all other codecs in the world.